With the recent renewal of business growth in Detroit, the focus has been primarily on the downtown area, however, the business boom spans beyond downtown. There are business owners who see the beauty in other neighborhoods and capitalize on growing businesses and creating jobs. Ron Bartell, a retired NFL player who now owns Kuzzo’s Chicken and Waffles, is one of those entrepreneurs. 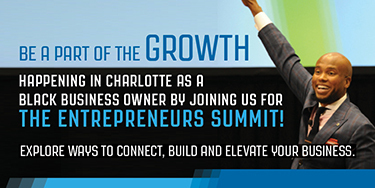 He is on a mission to invest back in his neighborhood by making a positive impact on the community where he grew up. “My vision was to bring commerce and people back to the area so they could experience how beautiful the neighborhood is,” he says. “I also wanted to show the importance of investing in your own neighborhoods. We can create jobs, investments; come together and have a great time. When he retired from the NFL in 2013, he started to develop investment properties in Detroit. “In the process of developing I was thinking in terms of tenants. I thought, ‘Why not start a restaurant?” he says. In late January 2015, Kuzzo’s Chicken and Waffles was launched. People come from around the country to eat there, and Hillary Clinton even visited the restaurant during her visit to Michigan, Bartell says. 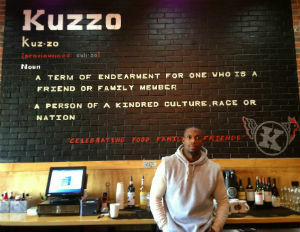 Kuzzo’s Chicken and Waffles offers southern cuisine in an urban-chic space with a casual dining atmosphere. Located in the Avenue of Fashion district on Detroit’s northwest side, the restaurant has become a staple of the community. Bartell designed it with a communal responsibility, intricate details, and creativity. His focus on the community and taking pride in the neighborhood is evident throughout the building. The scene of Kuzzo’s is the epitome of a successful business with a purpose. Bartell is happy to show that with vision, hard work, and determined success can happen. He wants to encourage others to do the same. “I try to lead by example. I am no different from anyone; I grew up in the same neighborhood, saw the same things, and experiences. I want to stay on the straight and narrow and inspire young black males to know you can come out of Detroit (or any major city) make it and be cool about it. If I can inspire one person then I know I’ve done my job,” he says.